Cleaning Before or After a Relocation? Browsing: / Home / Cleaning Before or After a Relocation? A home is never perfectly clean. The house owner is to find ways to keep it clean as often as possible but pollution still finds a way to hide. There is an important even coming up. A house relocation tends to be a hard time managing to answer each question with the required precision. So is it cleaning before the home relocation or don’t bother and leave it for after? 1. It would appear that cleaning is done only in periods, which is far from the truth. Even something as simple as doing the laundry is cleaning. 2. It is better to hold the house back from any guests and focus on managing the relocation properly. That can spare you the cleaning. After everything from the house has been removed, cleaning empty space should be fairly easy enough. 3. Furniture cleaning is mandatory. Save yourselves the trouble of having to clean again and again in your new home, when you can start fresh. 4. Check to see how clean is the van of the home removals London, then load everything and be on your way. 5. 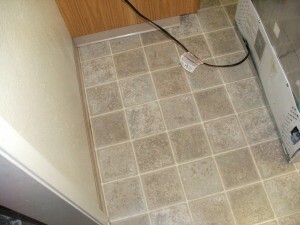 As for the house, a single person can manage the floors. There is no need to outdo yourselves. Just a simple broom is enough. Now, if there are spots of pollution from a different kind, more difficult to clean, get the required detergents. They can be carried by hand, so transporting them is no problem. This is how the cleaning priorities are. Keep in mind that your now former home is going to belong to a new owner and these people will really appreciate it if they find their new property in a proper condition.